Alexis Sanchez has been ruled out of Manchester United's Champions League Group H clash with Juventus on Tuesday. The 29-year-old came off the substitutes' bench in the 85th minute of United's 2-2 Premier League draw with Chelsea on Saturday after returning late from Chile's game in Mexico. No specific reason has been given for Sanchez's absence, with Mourinho saying at his pre-match media conference: "The players you saw are the players that are available. Nothing to hide and Alexis is out." 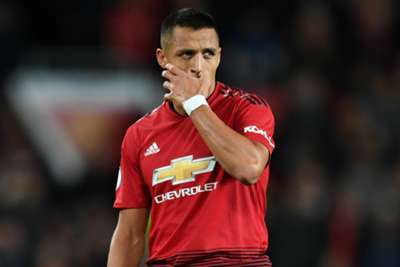 Sanchez had missed the open part of training on Tuesday, along with a handful of other senior players including Jesse Lingard, Phil Jones, Diogo Dalot, Marouane Fellaini and Scott McTominay. Club captain Antonio Valencia could return, though, having missed the last three league matches following an operation. "The reason was that he was 10 days without training with a problem, not an injury, but a problem that he had a very complicated surgery on his mouth,” Mourinho said when asked to explain Valencia’s recent absence. "He needed a little bit of time to recover some level after that." Juventus are top of Group H after winning both of their opening games, while United are second with four points.